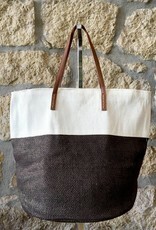 Two tone metallic tote bag. 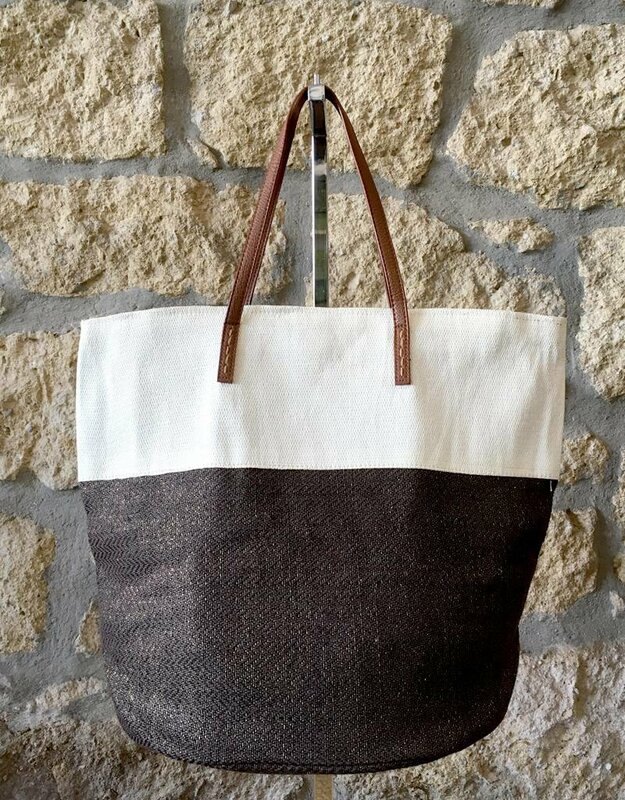 Lightweight woven fiber perfect for the beach. Top zipper and one small interior pocket. Vegan leather straps.